Healthy Living Family Chiropractic is a relaxing, comfortable place with friendly staff who aim to put you at ease from the moment you arrive. We look forward to meeting you and discovering how we may be able to help you! Our chiropractic assistant will be the first person you see, helping you complete the necessary paperwork before you see Dr Saxon Selvey (Chiropractor). The two of you will sit down for a chat to discuss your history, current problems and goals. We’ll complete a thorough examination to identify the cause of your problem. If x-rays are needed, there is a centre that takes them just outside our doorstep. They are then bulk-billed with no out-of-pocket expense for you and no waiting times at the centre. We ask that you wear loose-fitting or flexible clothing that doesn’t restrict your movement. You can plan on being here for about an hour. Your First Visit includes treatment wherever possible, but if X-rays are taken, we may need to see the results before full treatment begins. Your report of findings visit is an exciting one! You will finally get to hear and understand what is going on in your body. If X-rays were taken, this can be a little complex, but I want to make sure everyone fully understands what the underlying problem is and what we need to do to improve it. Allow about 30 minutes. By now we know what the problem is and what we need to do. Your subsequent appointments will be quicker than the first two. Each visit corresponds to our tailor-made program to help you reach your goals. Dr Saxon (chiropractor) will detail exercises you can do at home to increase your progress. 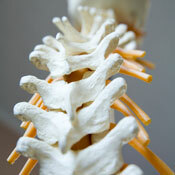 We may recommend rehabilitation work that uses equipment such as posture poles and spine orthotic devices. Our focus in the long term is on addressing your posture. We’ll help correct any improper posture and take digital photos, do posture screenings and use software programs to reassess at regular intervals, objectively measuring your progress. Are you ready to start living more actively? Contact us today to book a same-day appointment!